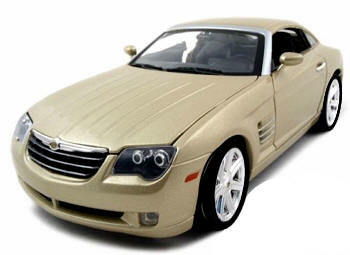 High Quality metal diecast scale Chrysler Crossfire model the 2004-2008 Coupe body style is discontinued from the manufacturer. Doors, hood and trunk open to reveal beautifully detailed interior, engine and trunk space. Rubber tires and turning front wheels. Comes in Tan.